Bradford City's on-loan full-back Ryan Dickson is likely to miss the rest of the season after being told he needs ankle surgery. Dickson, 26, played six games after joining from Southampton on a deal until the end of the season in January. 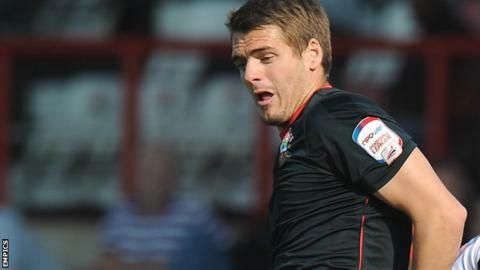 The operation is likely to see the former Plymouth and Brentford player ruled out for six months. The Bantams are already without first choice left-back James Meredith who is recovering from glandular fever.